Back in the days, photography was limited to a number of professionals who own high-end, expensive cameras. People like Irving Penn and Henri Cartier-Bresson were heralded because of their skills, which they learned through years of practice. But that was back in the days. Today, anyone can be famous photographers in an instant. All they need to have is a smartphone and an eye for beauty. Smartphones revolutionized the way people document their lives. Phone cameras are very handy and anyone can take pictures of whatever they want, whenever, wherever. The result is a plethora of artistic and stunning pictures posted online through social networking websites like Facebook, Twitter, and Instagram. Instagram is one of the websites the made mobile photography famous. It is an application that allows user to take square pictures, edited using various filters. Users can easily share it on Instagram website to get likes and comments. Exhibitions of Instagram pictures are even done in some parts of the world. Handy and Effective Tool: Why carry a 480g digital single-lens reflex if you can bring a 140g smartphone, capable of taking pictures, calling, and internet browsing? If you want to document an event, share pictures with friends without the hassle of heavy euqipments, then use smartphone cameras. Mobile Pictures are Instant: Since smartphones are capable of linking to the internet, pictures taken from it are easily posted online. Take as many pictures as you want and you can instantly share it in Facebook or Instragram. With a digital camera, you have to link it to a computer before you can post it. Relatively Cheap Camera: With high quality pictures, buying a multiple function phone is cheaper than digital cameras. It is also convenient and easy to use. Artistic Expression: With loads of filters and photo applications, people can express their creative side by experimenting. They can also work on improving their photography skills. Nature to Share and be Appreciated: People are social beings. And posting pictures instantly on social media is a good way to connect to people. You photos bring about comments and you feel appreciated when they praise how good your photos are. If you are one of the people who are caught up in the trend, and wants to get more likes in social networking sites, you better apply this smartphone photography tips to improve your shots. 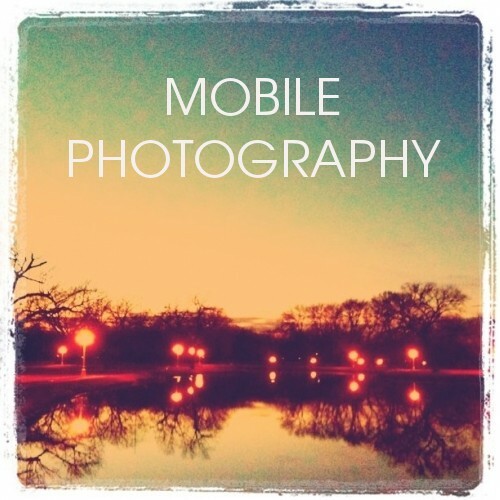 Use Several Applications: There are tons of mobile application to improve your photos. Today, people user more than just what Instagram offers. They import pictures from one application to another application to create unique work-of-art. You can try camera 360, to improve underexposed or overexposed picture to a well lit image. Want to experiment on pictures and typography? Then use PicLab HD. You can never go wrong with its sets of retro filters and cool fonts. Experiment on Lenses: Macro? Wide? Telephoto? These lenses are not exclusive for conventional cameras anymore. Using clip-on lenses on your Android or iPhone creates unique images so its noticeable and attractive. If you want to create playful images, try Fisheye lenses. Love the Sunlight: Mobile camera has limitations so you have to love sunlight because images taken under the sun get good exposure. You can also experiment with light through sun flares. You camera lens is small so it is susceptible to this flares. Just like sun flares, trying silhouettes (on sunrise or sunset) is also a dramatic way of playing with sunlight. Don’t Go Overboard: Filters and editing software should be kept at minimum. Don’t be too excited in playing with these features because it will ruin your images. Sometimes using simple black and white filter works best. It shows drama and artistry. Play With Angles: What your eyes don’t often see is interesting in many way. That is why pictures taken in a different perspective gain more likes and shares in social media. There are various perspective to try: Bird’s eye view, taken in high point of view; worm’s eye view, taken in a low point of view; over the shoulder, view behind the shoulder of a person; close-up, extreme view on details; and many more. Avoid Dead Center: You put your subject at the center of your photo and you have a “dead center” picture. There is nothing wrong with it but images become boring and dull. You can improve it by using the rule of third. Divide the frame into three parts and compose your subject at 2/3s of that area. It create interesting and dynamic pictures. You can’t look at smartphone as your primary tool in professional photography because it still cannot capture photos with high resolution. But no one can deny that smartphone photography is here to stay. It is the cheapest and fastest way to express creativity and share beautiful images to your friends. That is why it is mobile photography is gaining popularity. What about you, how do you improve your mobile images? Resource Box: Ethan Harvell is a writer and a blogger. He graduated with a Mass Communication degree at Ohlone College in Fremont, California. He is currently working as senior researcher and writer for essayontime, one of the leading writing service provider online. His job is to create web contents, and articles for promotion and marketing.